Most associate "nose art" with World War II airplanes and it would not have been uncommon to see a WWII pinup girl by Peter Driben on the side of a B-17. Did you know that decorating airplanes with artwork goes back earlier than WWII? 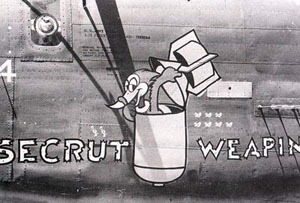 Ever since men went to war they have felt the need to personalize their aircraft with unofficial and personal markings. 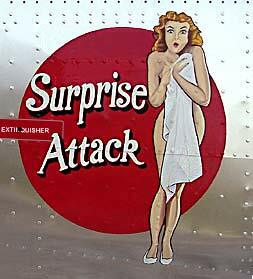 Ideas for nose art came from everywhere... girlfriends, wives, posters, calendars, comics, or historical events but they all had one thing in common and that was to inspire and to relieve the stress of war. 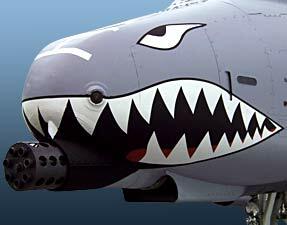 The golden age of nose art is generally associated with World War II and the Korean war but there are examples from Vietnam, the Gulf War, and even the airplanes of today. This is Italian Ace Francessco Barracca with his Spad XIII World War I fighter. He was part of the 91st Squadriglia. 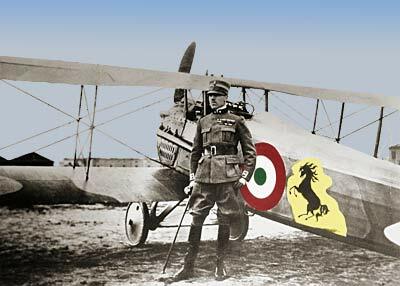 *Note the black horse artwork on the side of the airplane, it was later used by Enzo Ferrari as the company logo. 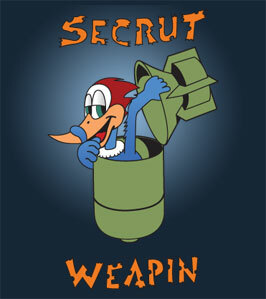 Woody Woodpecker was created in 1940 by artist Ben Hardaway and Walter Lantz animation studio and was very popular during WWII. 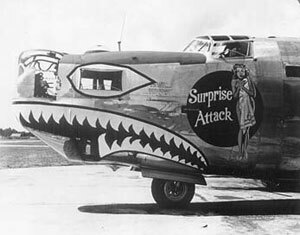 Here he is featured on a B-24 bomber known as "Secrut Weapin." This is an Alberto Vargas pinup girl painted on the side of a B-24 bomber. Phil Brinkman was another poular artist during WWII. 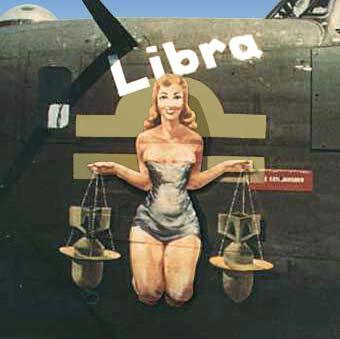 Here is one of the Zodiac series that he did on the side of a B-24. There was a B-24 featuring each of the zodiac signs except Taurus. 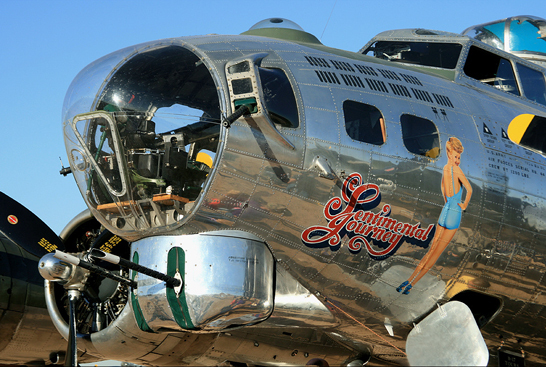 Of course many have seen the Actress Betty Grable on this B-17 of the Commerative Air Force. 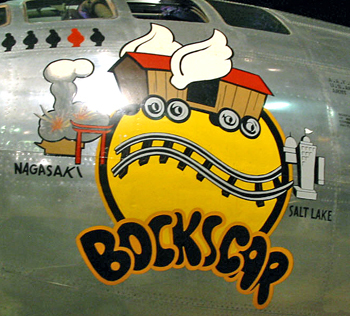 This is the nose art featured on the B-29 that dropped the second atomic bomb "Fatman" over Nagasaki, Japan at the end of WWII. 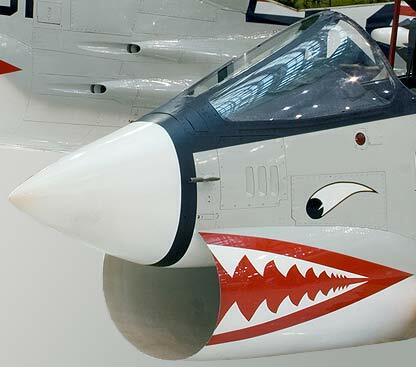 Sharks teeth are very popular and they were not only on P-40's of WWII but you can see them on jet fighters such as this F8 Crusader. 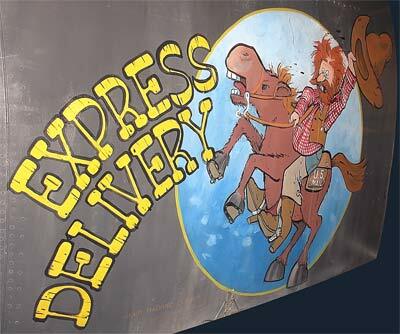 This is a B-52 bomber with nose art called "Express Delivery". 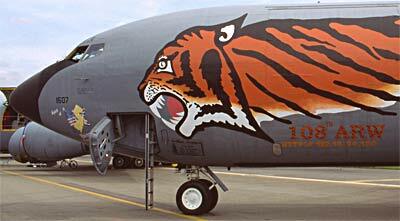 KC 135 tankers have nose art too! 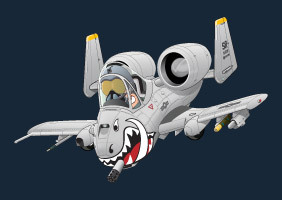 The A-10 Thunderbolt "Warthog" on the left features a sharks mouth like the P-40 and F8 Crusader; it is the inspiration behind the A-10 Warthog "Bite 'Em" design I did for a T-shirt.